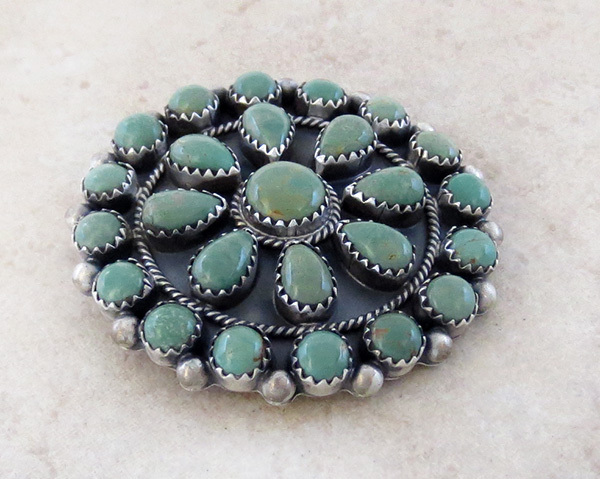 This is a lovely Navajo made turquoise cluster pendant / pin. 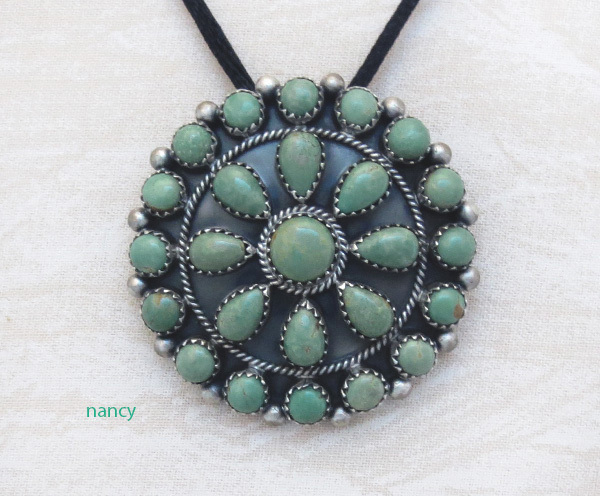 It has 25 green turquoise stones, each set in a serrated bezel. 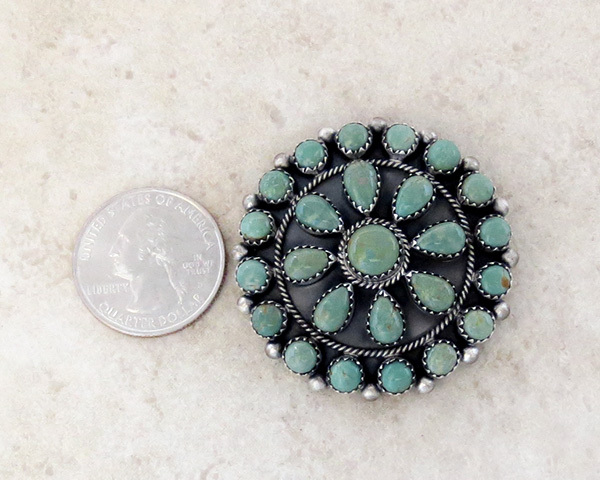 It's 1 5/8" tall and wide. 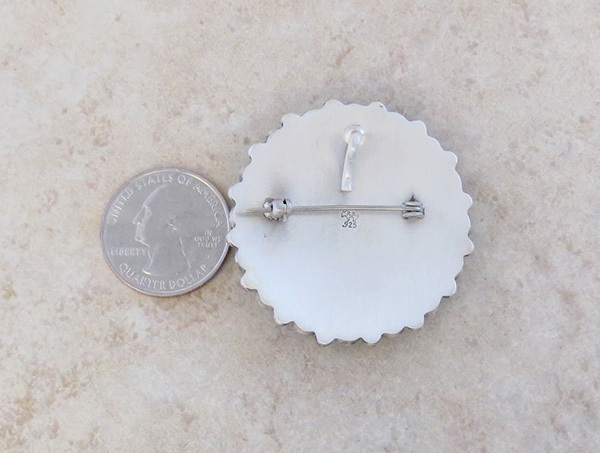 The bail on the back is a hook type bail and has an opening of about 1/4"